The Nordic World is ecstatic with the news presented at ISPO 2019 that took place in Munich, Germany, last week. ISPO is the world's largest international multi-segment exhibition for the sports industry, counted in 2019 with more than 2,000 exhibitors and the Nordic ski market was present. One of the biggest innovations in the industry and that certainly attracted the public's attention was the launch of 3D skis, where even the sidewalls of the ski are waxed and help in gliding, optimizing athlete performance. 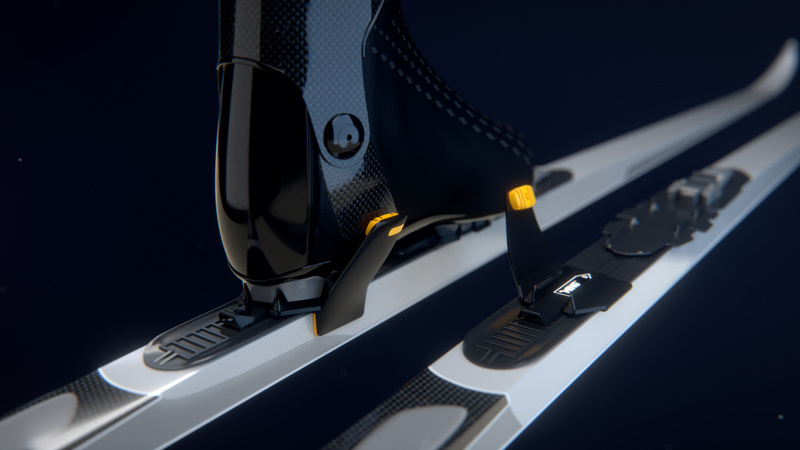 And speaking of news, we spoke with a Finnish architect and inventor named Arto Mattila about a product that is not 3D but will give ‘wings’ to your skis! The name of the product is quite suggestive, Wing, and looks like airplane winglets. The Wing is a new product which supports your skate skiing boot and can be attached to the binding, makes your skate skiing more relaxed and stable, optimizes your skiing position and reduces the risk of repetitive strain injuries. To find out more about this innovation, we asked the Finnish inventor a few questions. Hello Arto, it is a pleasure to talk to you and to know a little more about this small but ingenious product. To get started, tell us about yourself, your background and how you came up with the idea of Wing. Arto - I am Arto Mattila, architect and inventor, I live in Kuopio, Finland, and I skied competitively until the age of 25. Tell us about your company in Finland? Arto - Innon Oy (Ltd) is a young company, only two years old and focuses on product development. Where did the idea for the Wing come from? Arto - I got the idea when I was skiing in 2016 on a hard packed ski track. Skating skiing on hard packed or icy tracks seemed difficult as always and I have suffered with this for 30 years. A common problem, but no one has found a solution to the problem. Tell us a little about the Wing development. Were there a lot of tests, modifications and models before the final product was ready? Arto - Lots of tests with different levels of skiers, some enthusiasts and some competitors. There were perhaps 20 different prototypes before the right one was found. Bending tests and skiing tests also included muscle sensors and a lot of work with designers. What is the main characteristic of the Wing? Arto - Wing supports skiers’ feet and ankles. Skiing with the Wing is easier and more relaxed. That's why it's also faster on difficult tracks. Where is the Wing manufactured? What is the material used and its weight? Arto - Wing is made in Finland. Weight is 20-30g/piece and the material is polyamide composite. Is the product compatible with any type of binding? Arto - The product is suitable for NIS plate (Rottefella). The IFP model (Turnamic) is also developed and will be launched in the 2019-2020 season. How is the Wing installed? Arto - Wing is mounted like the heel plate by slipping into the NIS plate. Then adjusting parts for the skis and for the ski boots. Adjusting parts are included. Wing can be adjusted according to your wishes. Is it suitable for all levels of skiers? Who could benefit the most by using Wing? Arto - Wing can be used by everyone from recreational skiers to elite racers. Beginners and enthusiasts get the best help from Wing. 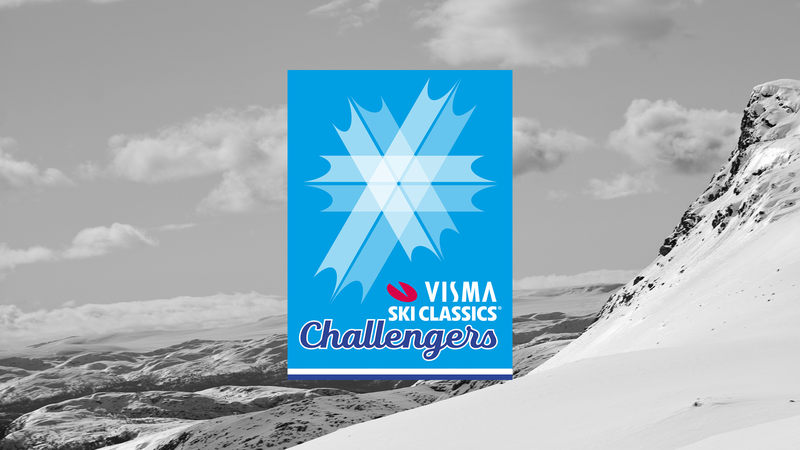 Elite skiers benefit from Wing in challenging conditions such as icy or hard ski tracks. Some athletes have reported that they sometimes have problems with their ankles and need Wing. Wing is perfect for Skiathlon as skating is done with loose combi-boots, and Wing provides additional support. Is Wing suitable for all types of snow? Arto - Wing is suitable for all types of snow. It’s best for icy and hard or completely soft snow. 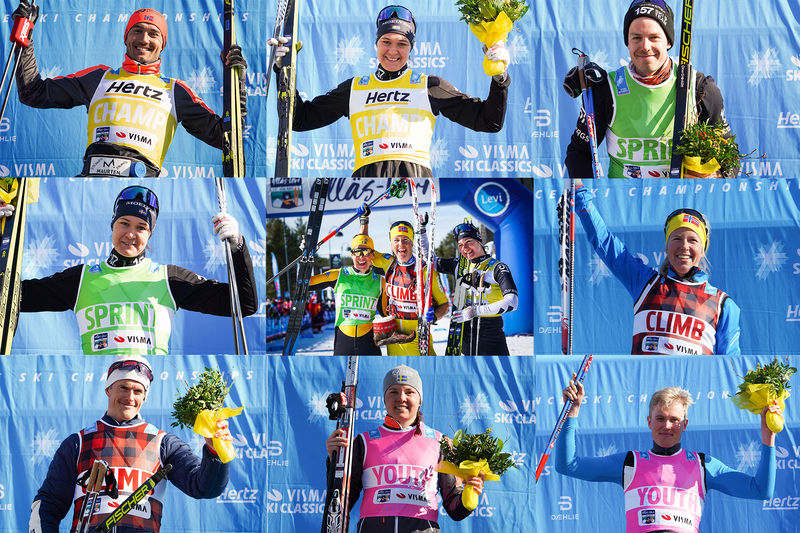 In Visma Ski Classics double-poling dominates. Hence, is it possible to use Wing with classic and double pole skis? Arto - Wing can also be useful for double-poling. It supports classic ski boots and makes going downhill easier. This article shows us that true innovation really occurs in Nordic skiing, and it makes us compare skiing to professional cycling and World Tour Teams, where the term ‘marginal gains’ is widely used, and where every small detail can mean victory or defeat. Would anyone like marginal gains in the form of wings on skis? Let’s try and see if we can fly!